A few months ago, while in an airport, I circled around a potential book purchase in one of those news-snack-soda-toiletry stands that are all-too-frequent in concourses and carry all-too-few items anyone really needs. For those who know me, it should come as no surprise that I am a lover of sarcasm. I hesitated buying the book at the time because, as I flipped through the pages, something seemed a little off. My plane was about to board, though, so I didn’t have time to analyze my hesitancy. I made a quick decision and bought the book, determined to enjoy it. Yeah … the enjoyment never really came. Once I boarded the plane and really started to dive in, I realized what bothered me so. While some might have thought the “snark” to be semi-clever, I found it stale. See, snark — and all of sarcasm — is best when it is situational, personal. There is no rote to it. No handbook of sayings that will suffice. Purveyors of snark perfect the skill not by memorizing lines and sayings and quotes, but by practicing … in real life … with real people. In essence, sarcasm is a craft, honed over time with great care and practice and patience (and often with a lot of apologies for jokes gone awry). So, if you want to be good at sarcasm, don’t buy a book. Just go forth and snark. 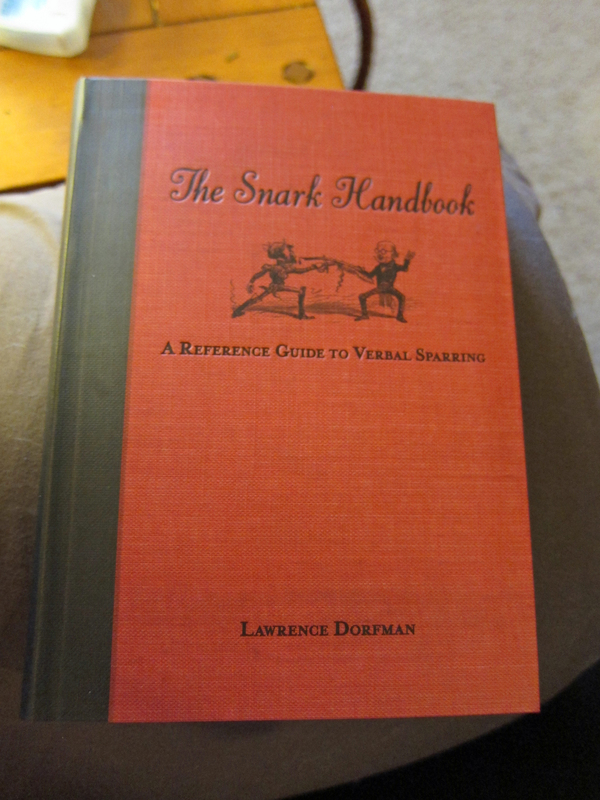 By the way, does anyone want a slightly used edition of “The Snark Handbook”? I can give it to you for practically a steal. Good to see that you haven’t lost your snark Julie! Thanks, Darlene! Good to hear from you!